Across a host of industries, organizations are grappling with understanding and communicating their data. Landscape Metrics helps them meet this challenge by designing and building customized, interactive data visualizations, maps, and data stories. By transforming information into beautiful, engaging visual narratives, our services help our clients discover insights in their data and communicate these insights to the public. Landscape Metrics has been featured in publications including The Architect's Newspaper, The Atlantic's CityLab, Landscape Architecture Magazine, The Nature of Cities, and the Huffington Post. We work closely with clients to unlock the value of their data. Far from simply presenting data on maps, we build custom data visualization interfaces from the ground up that present entirely original perspectives on complex datasets. Employing the web browser as our core platform, we explore data through a host of techniques, from linking charts with maps to animating data over time and space. Through this bottom-up approach, we create unique visualizations that can reveal new insights and engage audiences. Matthew Seibert is a principal and co-founder of Landscape Metrics, and the company’s creative lead. 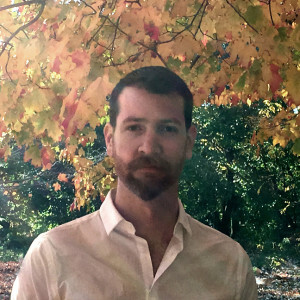 With a background in visual arts, humanities, and landscape architecture, Matthew melds his years of experience as a designer with his interest in quantitative environmental science to develop revealing and creative renderings of our shared world. Matthew’s talent for creating accessible and provocative representations of scientific data, in both analog and digital media, is instrumental to the company’s unique visual aesthetic. 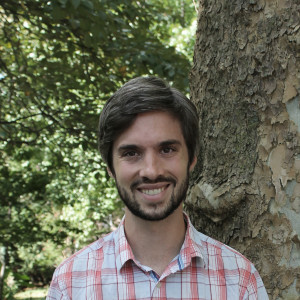 Matthew holds a Bachelor of Arts in Humanities from the University of Texas at Austin and a Master of Landscape Architecture from Louisiana State University. He is currently an Assistant Professor of Landscape Architecture at the University of Virginia's School of Architecture.